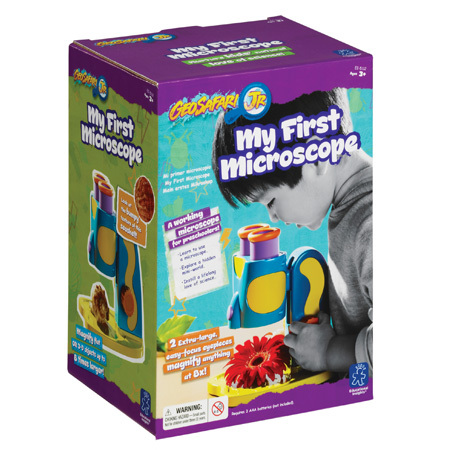 My first microscope allows kids to see magnified hidden worlds with ease! 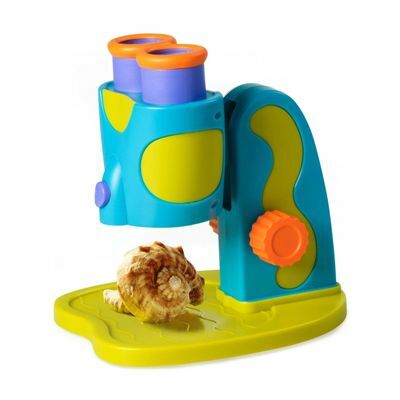 this fully functional microscope is a real tool with a range of magnification (2.5x 8x) designed with a preschooler in mind. 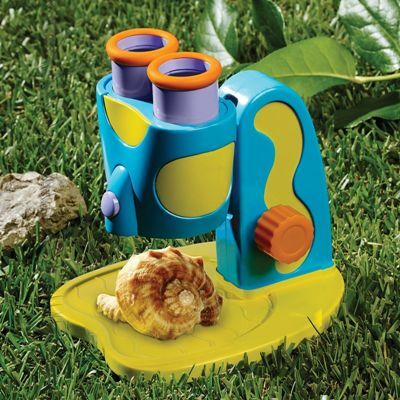 magnified views can be challenging for little ones to understand, so by starting with the 2.5x view (with the focusing knob turned as far away from your child as it will go), your preschooler can orient herself to the item she “!s viewing, and as she turns the focusing knob towards herself, she can gradually pull away to an 8x view. the wide field of view of these lower magnifications is critical to little ones “! understanding. my first microscope also features two extra-large eyepieces (no need to close one eye!) and a chunky, kid-sized focusing knob. 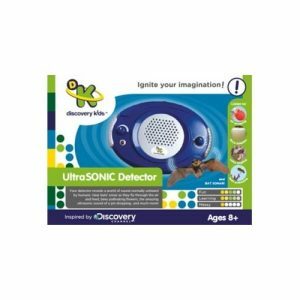 a bright led with easy push-button action lights up details for even more discoveries. requires 3 aaa batteries (not included). 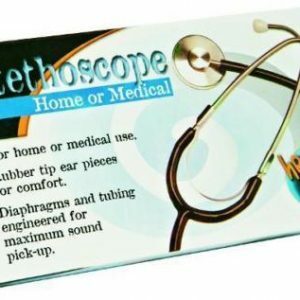 Fully functional dissecting microscope allows for up-close examination of rocks, leafs, and more – no slides needed!